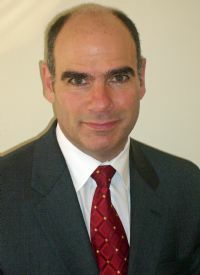 Tom Kenny, FICF, has served as General Agent for Eastern Connecticut since 2005. Prior to being promoted to General Agent, Tom served as a Field Agent for the Order from 2002 to 2005. He is a graduate of Kingâ€™s College with a Bachelor of Science degree in Computers and Information Systems, and holds the professional designations of Fraternal Insurance Counselor (FICF) and MBA from Seton Hall University. A Third Degree member of Our Lady of Perpetual Help Council 5633, he took the Fourth Degree of the Order in May, 2007. He and his wife, Jude, have a son, Tommy, and two daughters, Belle and Jessie. He and his family are parishioners of St. Agnes Parish in Niantic, where Tom serves as a Eucharistic Minister and sings in the choir.